New modern HTML5 WordPress themes with responsive design specially designed corporate business, portfolio and online eCommerce websites. 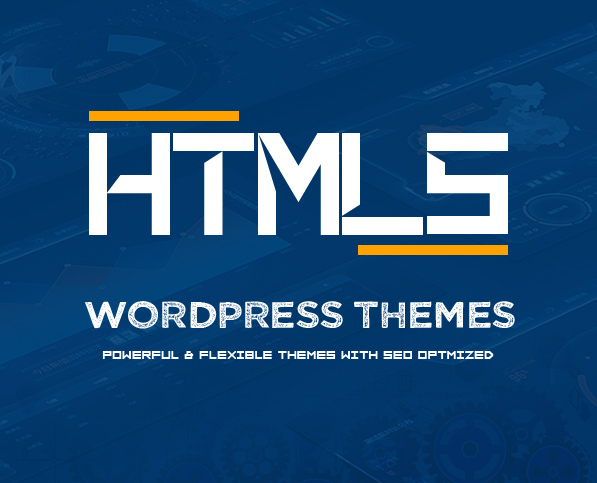 Multipurpose best WordPress themes will help you create amazing website with tons of highly SEO optimized and easy-to-edit elements that allow you to change the look and feel of your theme to match your brand or represent your agency/company without code knowledge. You can upload your own logo, background, set the font and color from a panel options to enable or disable those sections that you need. Unique WordPress themes will make your web design look more impressive and attractive to visitors. The powerful Theme Options Panel paired with intuitive page options panels, a widgetable areas manager and a custom tailored Visual Composer, drag and drop page builder, provide you the tools you need to create complex websites without touching a line of code. These 2017 WP themes are the best choice for you to create a business, creative agency or personal portfolio, photography or a blogging website. GuruBlog is a Responsive WordPress Theme for Experts, Trainers, Teachers who wants to create a Blog & Shop for online courses, selling books, digital products and business information. This is WordPress theme comes with pixel perfect design, dynamic mega menu, incredible revolution slider, product widgets, nice effect Static blocks. It also includes Powerful Theme Options allowing you change colors and features of theme just in some minutes. With Boutique, you are able to customize many aspects of your theme such as footer, navigation menu and fonts with ease. Gatsby is a clean, flat and modern WordPress Theme suitable for any type of website. Web agencies, single product, personal website, portfolio and a lot more. Gatsby is designed according to the latest trends and best practices. Try it now and you won’t regret in your choice. You will be amazed and attracted by the modern and unique style as well as clean and intuitive design of Mokar. Proudly delivering 09 beautiful homepages, a bunch of essential inner pages and most popular plugins integration such as: Visual composer, Slider Revolution, Ultimate addons for visual composer, Woocommerce. Maxus is a clean, modern and highly customizable WordPress WooCommerce theme for online shops. Maxus packs ten beautiful out-of-the-box functional homepage demos as well as blog pages for you to keep your audience up to date on your latest developments in your own unique style. Talos is a Modern and Creative premium WordPress Theme . Design Theme is made in a beautiful style. It is suitable for Personal Portfolio, Creative Agency, Designer Portfolio, Illustrator Portfolio, Photographer Portfolio and more.Theme has a universal design, it thought every detail and animation effect. Its just as easy to customize to fit your needs, replace images and texts. Inspira WooCommerce WordPress is the top option if you’re looking for an ecommerce online to sell fashion such as clothing, bags, shoes, accessories,…Inspira is a simple and easy to use, modern and creative, user friendly WooCommerce WordPress template. Show off your work with this easy-to-customize and full featured WordPress Theme. When purchasing this theme, you will receive a detailed help file along with additional features like Unlimited Colors and a Drag & Drop Page Builder. Universal is a modern multi-purpose, minimalistic, easy to use, lightweight and fast loading, multi and one page WordPress theme for building simple and beautiful business or personal website. Musta is a Corporate Multiuse WordPress Theme built on the very powerful and flexible framework. You can easily import any of the example demo sites. Choose your favorite design, and import pages and styles with the easy-to-use one cpck import feature. Boutique gives you full ability to create an amazing online store. It’s modern design and different layouts and unlimited possibilities will help you to put your products in focus, It’s also fully responsive and you won’t worry how your customers reach your shop (It works fine with both desktops and smartphones). iCorporate – creative theme that is perfect for business themes, marketing, corporate startup, and more. The design is easy to change and adapt to the client needs. The theme has all the modern functionality such as: visual composer, slider revolution and much more. Show off your work with this all-in-one and easy-to-customize WordPress Theme. When purchasing this theme, you will receive a detailed help file along with additional features like Multiple Demos and a Drag/Drop Page Builder. Tinos demonstrates a great design idea, a multipurpose theme well-suited for any type of business. In line with modern design trends, fresh color and dynamic navigation, Tinos has all major pages needed when building a website and not to mention lots of other super-awesome features. Foliage is an elegant and flexible with the latest design trend and user-friendly functionalities. This theme is so suitable for you to build up any eCommerce websites such as mega store, handmade, beauty, cosmetic, fashion, food, furniture, toys, auto, tools, lingerie, wine, pet, book, and kids. The theme is completely fully responsive and Retina ready, which will be a great plus for your business. Kreme – is a flexible flat WordPress theme made specifically for pet store owners. This WordPress theme is tailor made for puppy shops, however it’s use is designed to easily suit pet stores of all variety. The template is well organized with colored layer groups and easy to edit components. Consult Press is the Perfect Finance, Consulting & Business WordPress Theme. Consult Press is best suited for corporate website like accountant, admin, advisor, consulting, business, consult agency, corporate, finance, financial, insurance, invest, investment, investor, consultancy, pensions, trading, consulting Firms, insurance, loan, tax help, Investment firm etc. Mega Shop WooCommerce Responsive Theme is specialized for Mega Stores, Layout, Electronics, Fashion, Auto, automotive, tools, parts, Furniture, art, home, decor, crafts, Gift, Flowers, Organic, Grocery, Wine, bakery, food, gusto, drinks, mega, lingerie, Beauty, cosmetics, Jewelry, accessories, cloths, Blog, accessories, minimal and multipurpose store. With a modern, sophisticated and unique style, WordPress Multistores gets all things you need. We built it based on the best eCommerce solution for WordPress. It is perfectly suitable for any kind of marketplace business that requires many specific features and powerful functions. iLove is a nice and clean WooCommerce WordPress theme that is an ideal solution for those who are going to sell products online. iLove comes with a great design along with dozens of powerful features for building an eCommerce website. The Gloria template is excellent for a News, Newspaper, Magazine, Lifestyle or Review site. It also supports videos from YouTube, Vimeo and features a rating system. It uses the best clean SEO practices, and on top of that, it?s fast, simple, and easy to use. So far, you will also have access to lifetime updates at no extra cost.